Rajshahi is the fourth largest metropolitan city and an expanding urban center in Bangladesh. 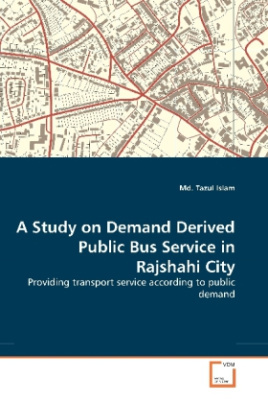 Though it is a divisional headquarters, there is no public bus service in this city.This study has assessed the potential demand for public bus and suggested to introduce the public bus service in Rajshahi City. In this study three routes and twenty nine stoppages has been proposed for Rajshahi City based on public opinion and minimum distance among the stoppages by using GIS.